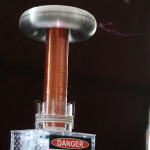 oneTesla will be there demonstrating oneTesla TS, the second generation version of our music-playing Tesla coil kit. It shoots sparks, plays MIDI tracks, and exercises your soldering skills. Check it out in action here. If you’re looking for a smaller version, tinyTesla is for you! 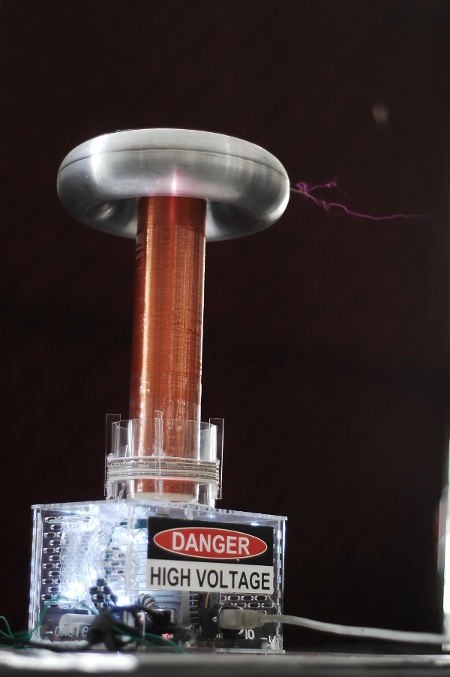 This miniature tesla coil fits in the palm of your hand. It even comes in a pre-soldered version. 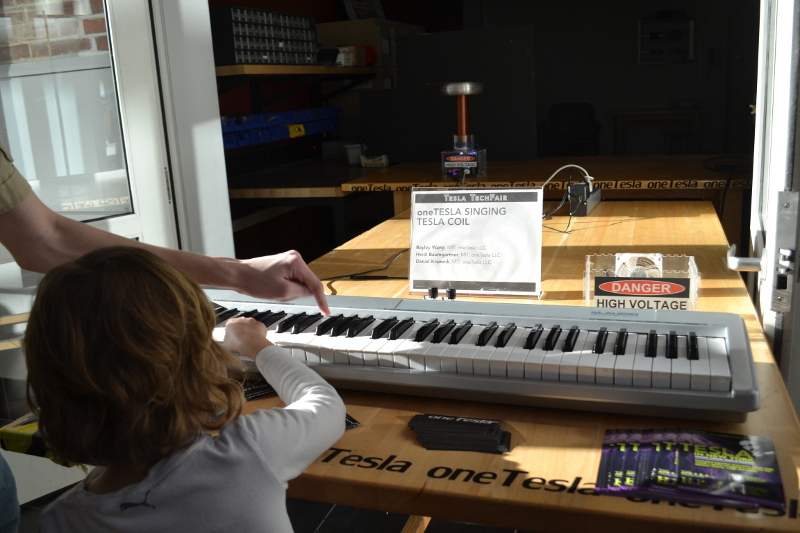 Both oneTeslaTS and tinyTesla will be available for pre-order at the Maker Faire booth, or you can pre-order them right now through our website. They are scheduled to ship in January. 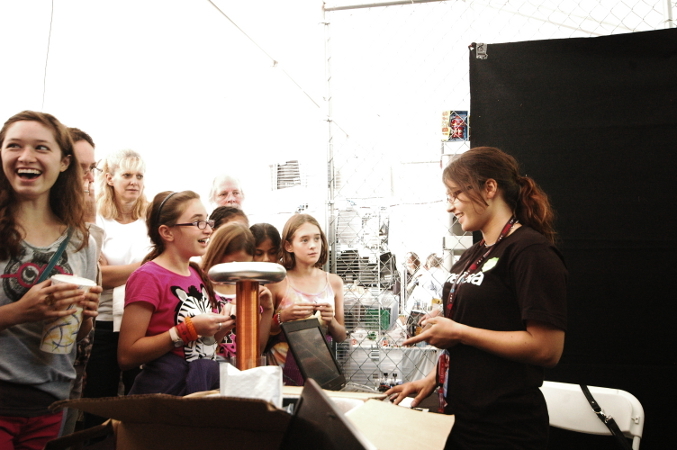 We hope to see you at Maker Faire! This entry was posted in Updates on September 9, 2014 by Marissa Dupont. 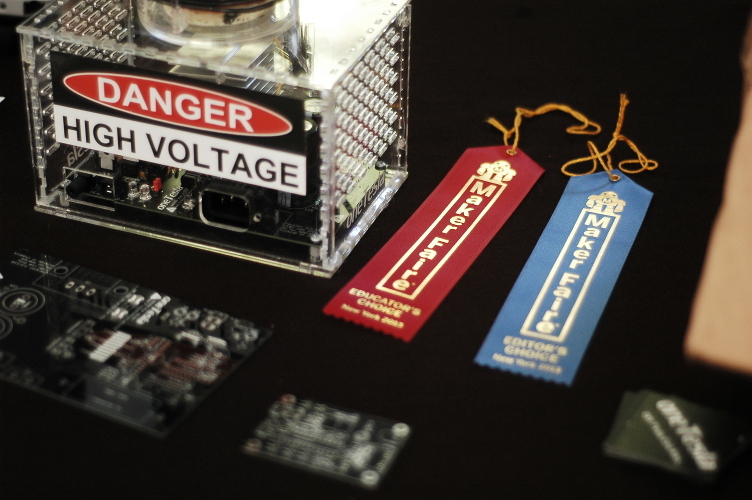 Last weekend we were at the World Maker Faire in New York, and we had a splendid few days of demos and fun. We had a booth in the Maker tent, and the music from our coil attracted crowds from the whole event. We distributed nearly 1000 stickers and business cards (who knew they'd go so fast?!) and during the cumulative 17 hours of our demo coil performing beautifully we had cameras pointed at us nearly the whole time! 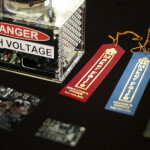 Furthermore, we are honored to have been awarded two ribbons from Make: Editor's Choice and Educator's choice. This entry was posted in Events, Updates on September 25, 2013 by Bayley. 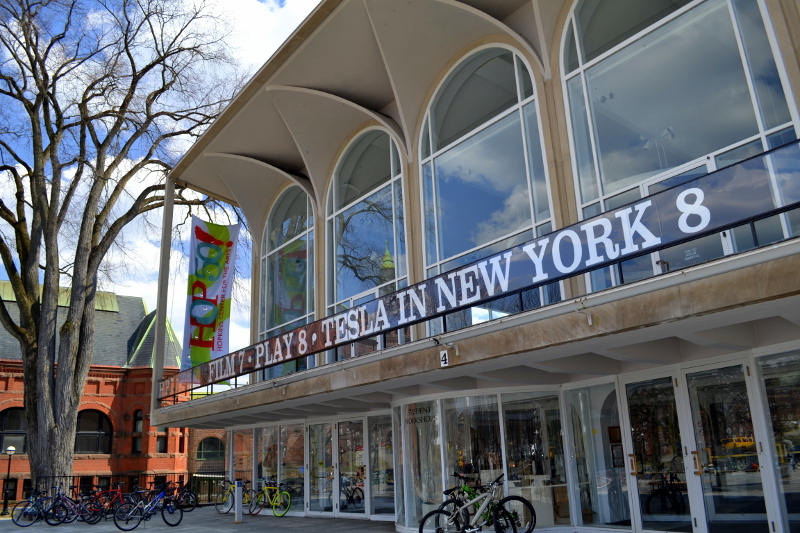 As part of the Year of The Arts initiative at Dartmouth College, The Hopkins Center for the Arts at Dartmouth recently co-commissioned the new opera "Tesla in New York." This weekend was the first time music from the opera-in-progress was performed. 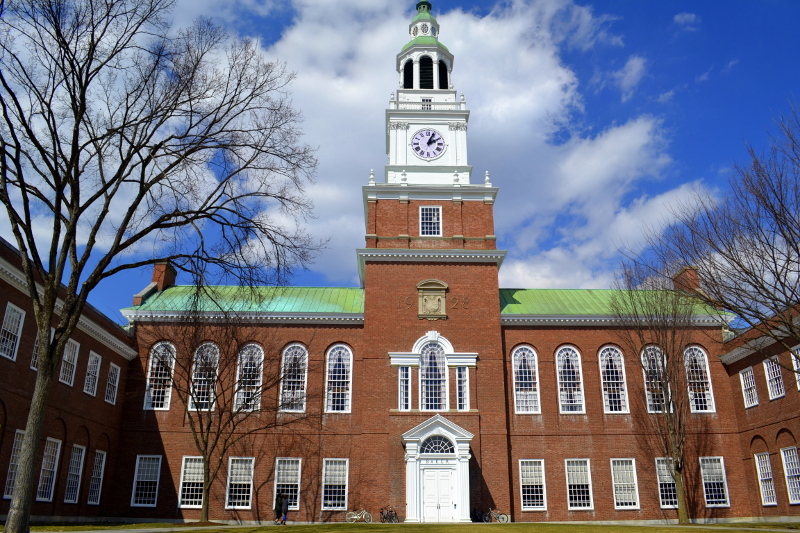 To inaugurate the performance, the Hopkins Center and Dartmouth's school of engineering organized a panel discussion involving Dartmouth Associate Professor of Engineering Charles Sullivan; David Perreault, MIT Department of Electrical Engineering; and Bernard Carlson, UVA Department of History, author of Tesla: Inventor of the Electrical Age. 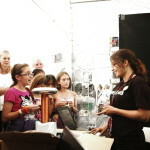 The discussion was followed by a tech fair with demonstrations showcasing Nikola Tesla's inventions and legacy. 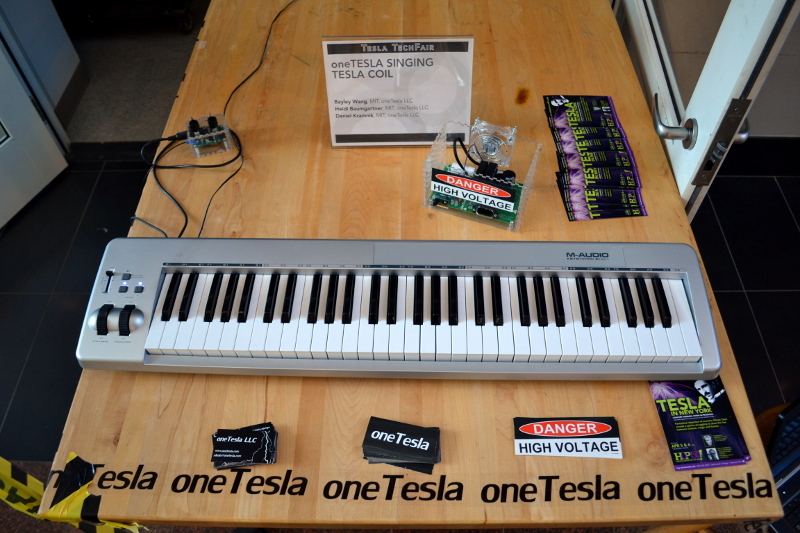 oneTesla was invited to the tech fair at Thayer School of Engineering, and our demo was a smashing success. 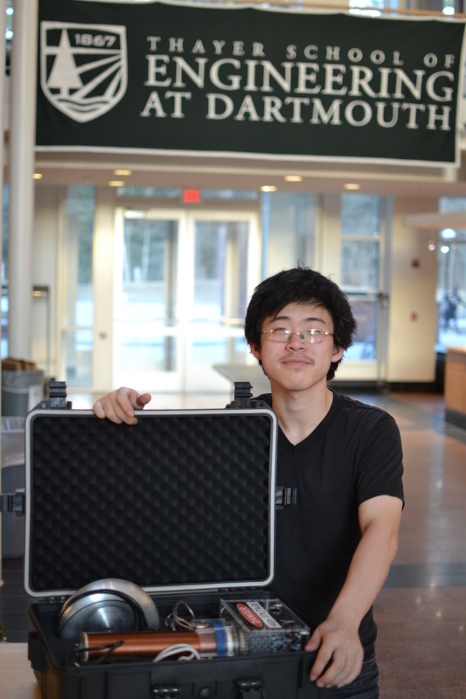 (See an article about the tech fair in The Dartmouth.) 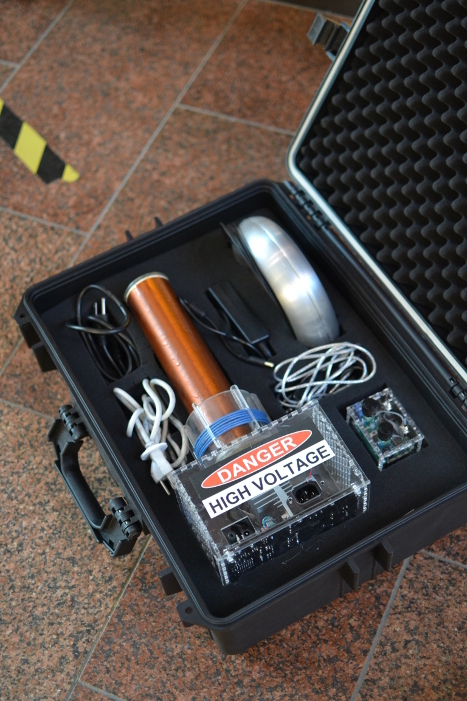 There were several other Tesla coils on display, as well as some demonstrations explaining AC vs. DC and the concept of wireless power transfer. 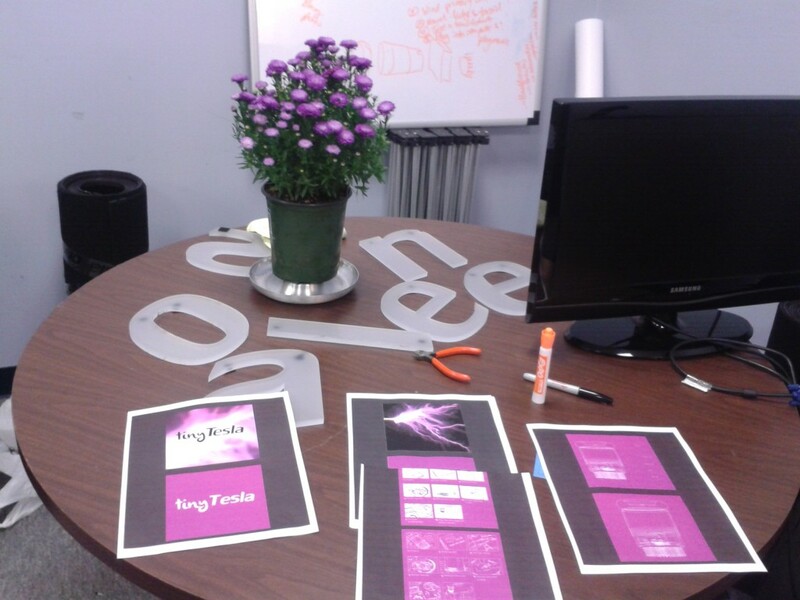 Since we brought a keyboard and our setup was interactive, we attracted quite a significant crowd around our table! The setup was loved by kids of all ages! This entry was posted in Events, Updates on April 7, 2013 by admin.